Celebrate your family this year with this sweet ornament, personalized with hand stamped details. 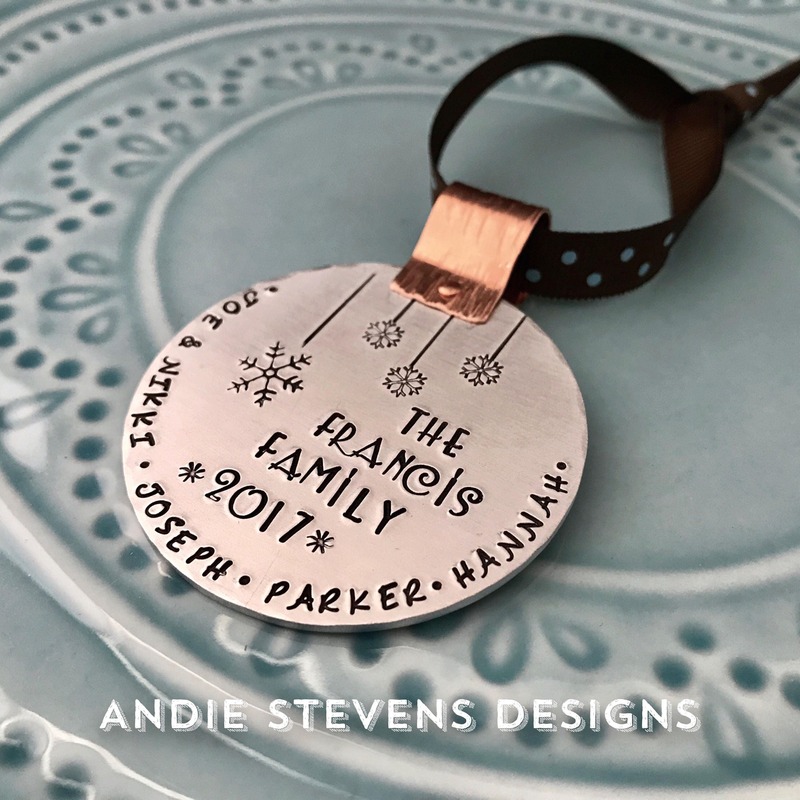 Ornament is a 2 inch round aluminum piece accented with a copper riveted bail. Aluminum is lightweight and won't weigh your tree branch down. I include a polka dot ribbon.